On 13/07/2012 by a majority of 9 votes to 8 the European Court of Human Rights supported the decision of Swiss authorities to ban a poster campaign of the Swiss Raelian Movement (Mouvement raëlien suisse) promoting contacts with extra-terrestials. Mr. Claude Vorilhon (Raël) who allegedly entered into a direct contact with extra-terrestrials (Elohim) from an Unidentified Flying Object in 1973 founded the Movement in 1975. It unites UFO contactors, as well as people interested in inter-galactic relations. 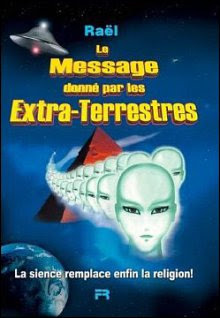 The prohibited 97 cm by 69 cm poster was showing extra-terrestrials’ faces, a pyramid and a flying saucer, had slogans “The Message from the Extra-Terrestrials” and “Science at last replaces religion”, as well as a reference to the website http://www.rael.org (§ 14). The Court declared that the nature of the poster is not political but rather commercial, which means that the State’s margin of appreciation is broader (§ 62). The minority of 8 judges counter-argued that the Movement did not try to sell anything but rather to spread its world vision, which means that the poster is non-commercial or philosophical. The Movement position is that this interpretation allows the State to justify a systematic refusal and oppose expression of non-majority ideas in public on a permanent basis (§ 34). The ECtRH declared that such reasons as support of human cloning, geniocracy (society governed by intellectual elite), and the fact that certain members of the Movement had been accused of paedophilia, "taken together" may “reasonably entitle” the national authorities to ban the poster. Although, he majority of judges admitted that “taken separately” these 3 facts “might not be capable of justifying” the ban (§ 72). The UFO contactors argued that they had not been participating in any human cloning but simply expressing their favourable opinion about it, and that geniocracy was not a real political project but a mere utopia (§ 36). The minority of 8 judges pointed that no cases of paedophilia had been proven, and that otherwise the Movement as such would already be banned. The Movement expressed its intent to continue the litigation before the UN HRC.